The Yoga Sutras of Maharishi-Patanjali is a foundational text of Yoga. It forms part of the corpus of sutra literature. In Indian philosophy, Yoga (also Raja Yoga to distinguish it from later schools) is the name of one of the six philosophical schools. The foundation of all later Schools of Yoga go back to Patanjali. 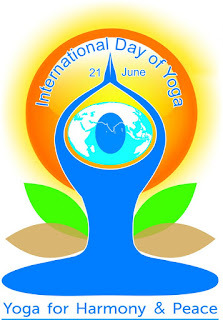 The word Yoga automatically calls to mind Sage Patanjali the founder and father of Yoga Sutras. (Yogic teachings covering all aspects of Patanjali Yoga are common in pre-Patanjali literature of the Puranas, Mahabharata and Upanishads.) He was a great philosopher and grammarian. He was also a physician and a medical work is attributed to him. However this work is now lost in the pages of time. His best known work is Patanjali Yoga Sutras of Aphorisms on Yoga. The path outlined is called Raja Yoga or the sovereign path. It is so called because of the regal, noble method by which the self is united with the overself. Patanjali's Yoga has essentially to do with the mind and its modifications. It deals with the training of the mind to achieve oneness with the Universe. Incidental to this objective are the acquisition of siddhis or powers. The easiest path to reach this state of dispassion and undisturbed tranquillity is the path of bhakti or love. Here, man surrenders his all-mind, soul, ego-to the Divine Being and is only led on by the Divine will. Self-surrender the Diving Name. Such repetition must not be mechanical but one-pointed and full of favor. For this, concentration is necessary. concentration can be there only if man has practiced to fix his attention on a particular object without letting it dwell on anything else. Concentration also calls for regulation of conduct if bhakti must develop. Good cheer, compassion, absence of jealousy, complacence towards the virtuous and consideration towards the wicked must be consciously cultivated. There are also methods of regulated breathing which help reach concentration. Yoga is an art and takes into purview the mind, the body and the soul of the man in its aim of reaching Divinity. The body must be purified and strengthened through various practices. The mind must be cleansed of all gross and the soul should turn inwards if a man should become a yogic adept. Study purifies the mind and surrender takes the soul towards God. The human mind is subject to certain weaknesses which are universal. avidya (wrong notions of the external world), asmita (wrong notions of oneself), raga (longing and attachment for sensory objects and affections), dweshad (is like and hatred for objects and persons), and abinivesha (the love of life are the five defects of the mind that must be removed). Constant meditation and introspection eradicate these mental flaws. The human body is a vehicle for journeying this life. It must be kept in proper form if the mind should function well. For this, there are practices too, but Patanjali does not elucidate on them. Unlike Western theoretical texts, which are often self-explanatory, Indian classical texts are mostly composed in the form of extremely terse and self-contained aphorisms or sutras. Sutras literally mean 'threads'—the idea being that each individual blossoms of thought are bound together to form the eventual wreath of a complex philosophy. Such pithy aphorisms, by their very nature invite a host of commentaries and annotations for their appropriate comprehension by the average learner—and that has been the tradition of ancient Indian scholasticism. Beside these, there exist a number of tikas or expositions on this exemplary text. Isvara is the supreme Purusha, unaffected by any afflictions, actions, fruits of actions or by any inner impressions of desires. In Him is the complete manifestation of the seed of omniscience. 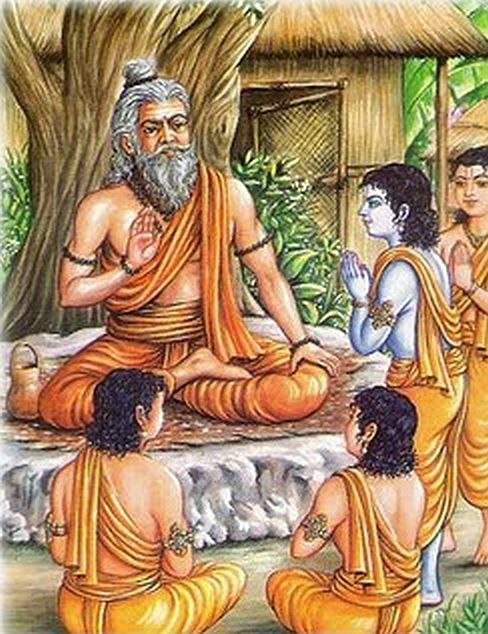 Unconditioned by time, He is the teacher of even the most ancient teachers. The word expressive of Isvara is the mystic sound OM. The first chapter, which is composed of 51 sutras, contemplates on the absolute true consciousness or Isvara and delineates the problems an individual soul is likely to face in its quest to merge with this Divine Soul. It begins with an understanding of human thought processes or vrittis, which deter us from realizing our true selves. The Samadhi Pada advises the restraint of such natural workings of the mind and discusses the problems encountered while trying to harness it. Then begins an elucidation of Isvara, the supreme consciousness and the various gradations of samadhis (a self-absorbed, detached state of being) one could enter into for attaining that highest level of spiritual awareness. Here again, the possible mental distractions are clearly stated and the best methods of conquering these impediments are also discussed. the mind retains its undisturbed calmness. Or that calm is retained by the controlled exhalation or retention of the breath. Or the concentration on subtle sense perception can cause steadiness of mind. Or by concentrating on the supreme, ever blissful Light within…. Gradually, one's mastery in concentration extends from the primal atom to the greatest magnitude. Just as the naturally pure crystal assumes shapes and colors of objects placed near it, so the Yogi's mind, with its totally weakened modifications, becomes clear and balanced and attains the state devoid of differentiation between knower, knowable and knowledge. This culmination of meditation is samadhi. In the end, the yogi gains itambhara prajna, which is true wisdom, whose means of knowledge are unlike any other—drawn solely from the awareness of the absolute. At this stage, the yogi becomes totally detached from all the four spheres of annamaya-kosha (gross materiality), pranamaya-kosha (physicality), manomaya-kosha (psychology) and vijnanamaya-kosha (intellect). His consciousness merely remains attached with the purely spiritual sphere of the anandamaya-kosha. This is the state, which is defined as nirbija samadhi, when all seeds of earthly impressions are erased from the yogi's consciousness. The karmas bear fruits of pleasure and pain caused by merit and demerit. By the practice of the eight limbs of Yoga, the impurities dwindle away and there dawns the light of wisdom, leading to discriminative discernment. After chapter one describes the different kinds of thought forms, practices to control them and the different kinds of samadhis culminating in the highest experience of nirbija samadhi, the second chapter follows it up with practical ways of attaining that state. In 55 sutras, the Sadhana Pada establishes the aim of yoga as being the control of the chitta vrittis (thought processes) to attain the highest union or 'yoga'. It prescribes the practice of Karma and Ashtanga Yoga as a means of achieving this union. This Pada identifies ignorance (avidya) and other obstacles to meditation as a major cause of our inability to naturally merge with the Absolute, and to this end it advices the eradication of all such kleshas by practicing the eight limbs of yoga and benefiting from their advantages. It might be relevant here to mention the fact that Indian philosophy involves more of perception and understanding as opposed to the Western 'love of knowledge' (philosophy). The Sanskrit word for philosophy, 'darshan' literally means 'to see' or 'to perceive'. In such a case, the philosopher takes on the role of a 'spectator' and having perceived the patterns of the 'spectacle' before him, prepares to merge with it and obliterates the subject/object dichotomy between the 'perceiver' and the 'perception'. 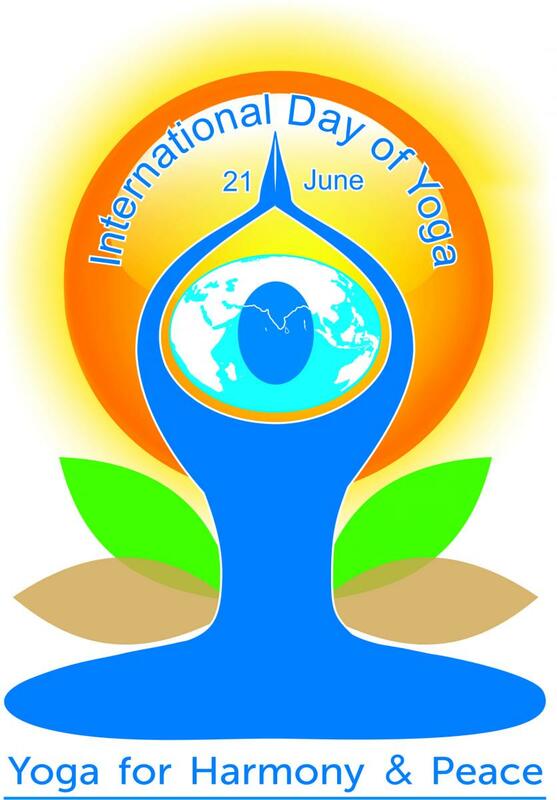 And it is practices such as Kriya Yoga and Ashtanga Yoga, which forces the yogi or seeker into action. Thus, far from being a passive 'spectator', the true philosopher and yogi actually gains mastery over the Divine Spectacle, which is our entire existence! The practice of these three (dharana, dhyana, and samadhi) upon one object is called samyama. By the mastery of samyama comes the light of knowledge. Its practice is to be accomplished in stages. The 56 sutras of the third chapter focus on the achieved union and its result. The term 'vibhuti' denotes manifestation or residue and this Pada delineates all the accomplishments, which come as the result of regular yoga practices. They are also sometimes called the siddhis, or powers, which have become matured with practice. The practices, which have been stressed in the Vibhuti Pada are the final three limbs of Ashtanga Yoga: dharana (concentration), dhyana (meditation), and samadhi (contemplation), the amalgamated practice of which is known as samyama. This chapter deals with the subtle states of awareness and advanced techniques of practicing samyama. The various kinds of knowledge or siddhis that might be obtained by practicing this yogic technique are also described. The Pada brings home the fact that knowledge is power and states the techniques of utilizing such potency for the best possible results. The discriminative knowledge that simultaneously comprehends all objects in all conditions is the intuitive knowledge, which brings liberation. When the tranquil mind attains purity equal to that of the Self, there is Absoluteness. Only the minds born of meditation are free from karmic impressions. Since the desire to live is eternal, impressions are also beginningless. The impressions being held together by cause, effect, basis and support, they disappear with the disappearance of these four. Kaivalya, which is the ultimate goal of yoga, means solitariness or detachment. The 34 sutras of the fourth chapter deals with impressions left by our endless cycles of birth and the rationale behind the necessity of erasing such impressions. It portrays the yogi, who has attained kaivalya, as an entity who has gained independence from all bondages and achieved the absolute true consciousness or ritambhara prajna described in the Samadhi Pada. …Or, to look from another angle, the power of pure consciousness settles in its own pure nature. Yama — The yamas can be thought of as the ethical restraints that are necessary for achieving harmony with other beings. Niyama — The niyamas are the actions necessary for achieving balance within oneself. Dharana — Dharana is the act of concentration of the mind. It can be said that it at this stage where 'real yoga' actually begins! Samadhi — This is the stage of 'mystic absorption', where knowledge of the 'essential Self' is attained. It is the state otherwise referred to as jivana mukti. The first two limbs that Patanjali describes are the fundamental ethical precepts called yamas, and the niyamas. These can also be looked at as universal morality and personal observances. Yamas and niyamas are the suggestions given on how we should deal with people around us and our attitude toward ourselves. The attitude we have toward things and people outside ourselves is yama, how we relate to ourselves inwardly is niyama. Both are mostly concerned with how we use our energy in relationship to others and to ourselves. Ahimsa (non-injury), Satya (truth), Asteya (non-covetousness), Brahmacharya (continence) and Aparagriha (abstinence from avarice) come under Yama. These five austerities are universal and absolute. Under no condition should they be deviated from.